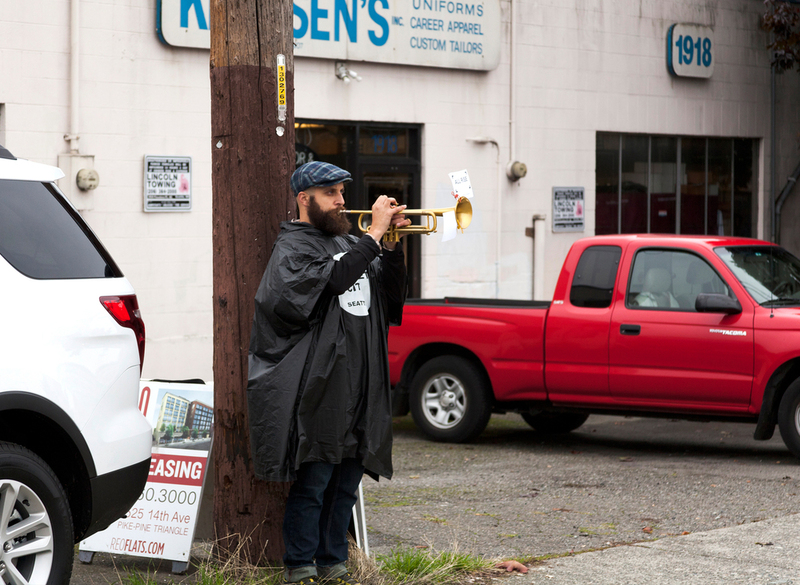 Craig Shepard's Trumpet City: Seattle is the first West Coast realization of the project, with a three-acre performance space in The Cascade neighborhood. Craig Shepard's Trumpet City was originally commissioned by Musikpodium of the City of Zurich and since presented in New York City, LakeZurich and Switzerland. For Trumpet City: Seattle, the first West Coast realization of the project, players will form a3 acre+ circle in the Cascade/South Lake Union area adjacent to I-5 on a Friday rush hour. Shepard will be present to direct the project. 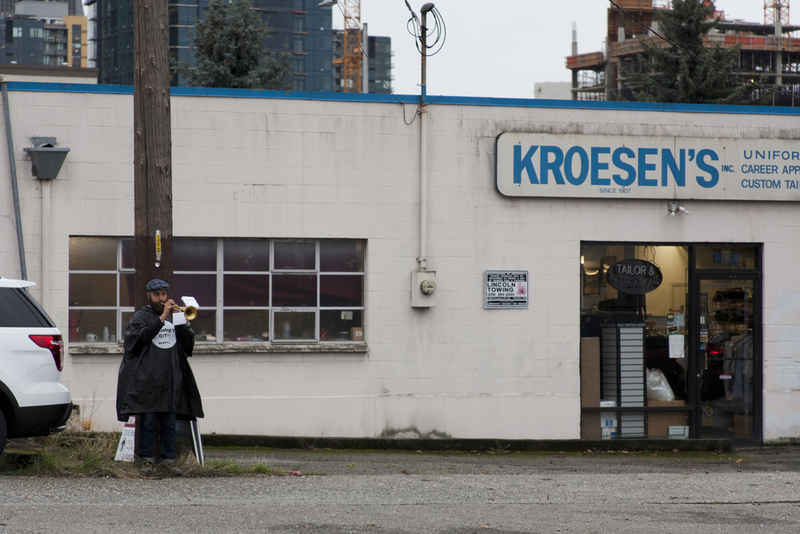 Trumpet City: Seattle celebrates the open space of The Cascade neighborhood, inviting passersby to enjoy the sounds and place they often ignore. Standing in a circle around the future site of the Denny Substation, trumpets place long tones against the drone of traffic. Trumpet City is made up of four 15-minute sections, which may flow one into the next. Each section contains a single melody consisting of long tones perforated by silence. The melody starts in the low range of the trumpet, blending with the drone of traffic noise common to many cities. Over the course of the hour, the trumpets rise out of this drone. The range within which a single trumpet can be heard is about 200 meters, depending on the acoustic properties of the site. Trumpet City positions performers about 50 meters apart. Each player can hear about eight other trumpets-four on each side. This creates an interlocking chain of nine-trumpet "chamber ensembles". In this way, each player is at the same time (1) a soloist, (2) a part of this chamber ensemble, and (3) part of the total sound of the piece. Listen to a studio multi-track recording here: https://soundcloud.com/craigwalk/trumpet-city-brooklyn-studio. Boo York City feature here.